Shall we talk about my favorite foundation today? I am currently so in love with the new Shu Uemura's skin:FIT foundation! I've been wearing it so often since the day I got it! Watch my vlog and you'll know WHY I am so in love with this foundation! The new skin:FIT foundation promises bare, lasting makeup that will survive the heat and humidity in our country. Each foundation comes with a dual-sided "pentagon brushing sponge" that allow you to apply and tap for fitting the foundation to your skin effortlessly. 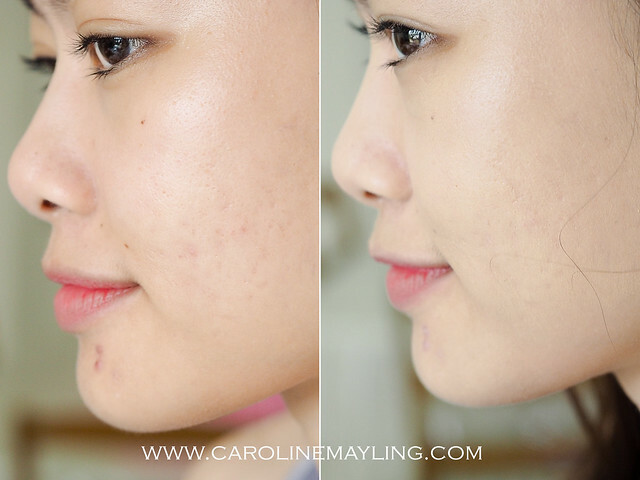 I really love the how the dual-sided brushing sponge works amazingly on the application of the foundation to my skin. With the help of the brushing sponge, I realize that it didn't require much effort on buffing foundation to my skin. The foundation has a super lightweight watery texture, it provides sheer and soft matte finish. One thing though, you have to apply it quickly before the foundation dried on your palm. I really love the fact that it is super lightweight and doesn't give the cakey-ness feeling or texture on my skin. As you can see, it somehow covers my pores, mild redness around my nose area, and also slightly fades away the appearance of my pimple scars. It didn't cover my blemishes, and we can always use concealer to do the job for this! I also vlogged about this! I thought this way you can see the real application process and the finish on my skin right away in this video. 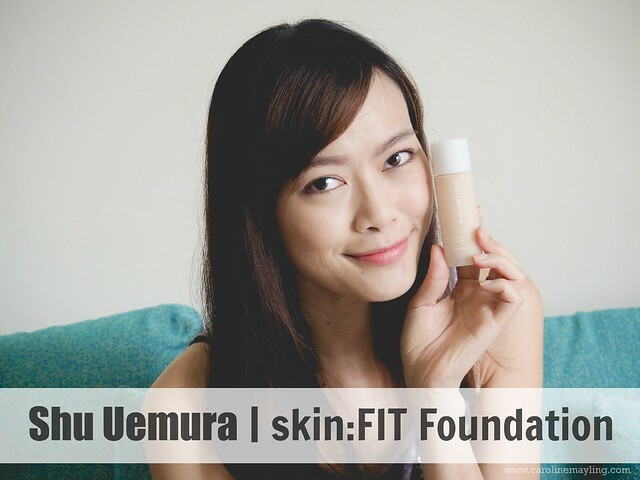 I will be sharing about my lunch affair with Shu Uemura Malaysia in my next post, and of course sharing more of the new skin:FIT foundation with you guys!